Located in Avenida da Liberdade, Lisbon’s luxury strip, LIBERDADE 40 is a retrofitted building that offers 16 modern apartments. 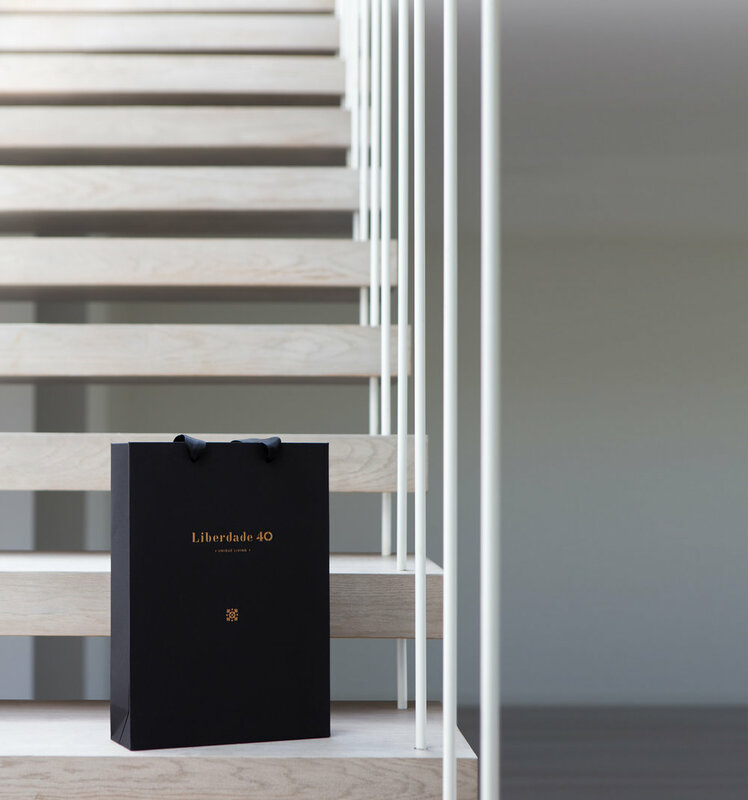 With an inherited logo, we were tasked to create a ‘welcome home’ box to be gifted to all new apartment owners. Aside from the box itself, we also designed two exclusive gifts, handcrafted by local designers, that would introduce the owners to some of the best talent Portugal has to offer. As we wanted these gifts to have a meaningful role in their lives, we opted for a sleek and ergonomically friendly keychain as well as a set of six ceramic coasters in the shape of traditional Portuguese azulejos to accompany a joyous occasion.